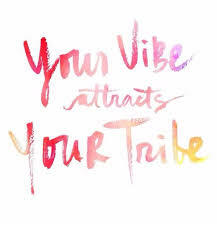 Home Enlivening Who Are Your Tribe? Who are the people in your life that really appreciate you for who you are? Who are the ones that help validate your authenticity without judgment? Healthy grieving will grant us the freedom to move on without guilt or prejudice. Most of the expired Soul contracts as they come to a close will dissolve naturally, peacefully and without any cause for concern. This is a time when we must remember that whatever it is they are afraid of, is indeed not our battle to blaze. Holding onto anyone because they ‘need you’, does neither Soul any good at all. Resistance, courage, endurance, and strength are inner tools for you to tap into in order to release, let go and accept that contracts do expire, and sometimes at the most unlikely of times. Mystical healing needs to be understood so we may willingly allow the transformation of our Soul with ease. Wherever it is you hold your faith, believe and trust this faith when you need a helping hand.